If you are always on the go, you need hearing protection to fit your active lifestyle. 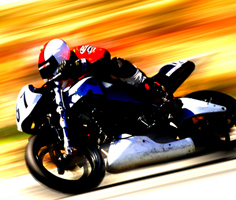 Here you will find a wide selection of hearing protection solutions for motorcycle riding, NASCAR, and other motorsports, as well as a rich variety of solutions for flying, travel, sports events, and more. Whether you're taking your bike out on the open road or taking the family for a vacation, the right hearing protection can keep your ears safe and drastically improve your quality of life while you enjoy your favorite activities. We even offer dog ear muffs and horse ear plugs, so you can protect your four-legged family members, too. Below, you will find hearing protection solutions to fit your ears and your active lifestyle. Calling all NASCAR fans! We have official NASCAR hearing protection products including ear plugs, banded ear plugs and ear muffs. At stadium sports events, your hearing can get seriously sacked by serious noise. With the right ear plugs, you can take the dangerous edge off of stadium event noise while still being able to hear all the thrills, sound, and fury of your favorite games and events. Whether you're working toward that golf-course-quality lawn, installing new shelves in your child's room, or tackling a whole do-it-yourself kitchen remodel project, there is one item that always belongs in your toolbox: hearing protection.